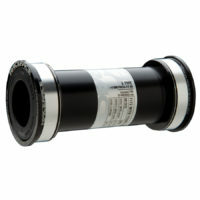 Wider is better with the e*thirteen BB30 bottom bracket. 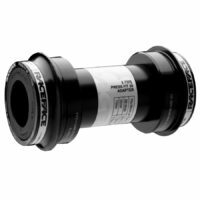 Our threaded BB30 bottom bracket adapts all cranks with 30mm spindle to frames running BB30 BB shells (42mm bore diameter). 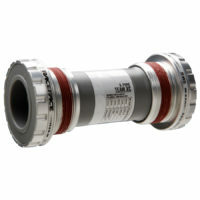 The BB30 bottom bracket spaces the bearings nice and wide outside the BB shell for maximum stiffness and a threaded centre tube keeps bearings properly aligned for longer life. 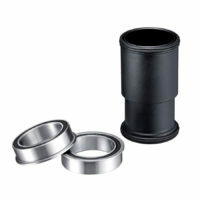 Custom seals, grease fill and bearings are designed from the ground up for top-notch durability and smooth spinning. 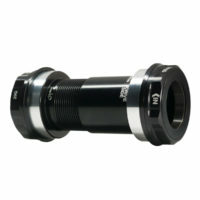 Our threaded BBs adapt cranks with 30mm spindle to standard BSA threaded BB shells. Custom seals, grease fill and angular contact bearings are designed from the ground up for top-notch durability and smooth spinning. All of our BBs include our 1 year, no questions asked bearing guarantee. 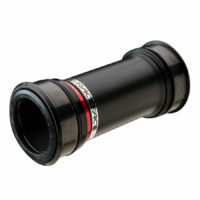 Our threaded PF30 BB adapts e*thirteen cranks with 30mm spindle to PF30 BB shells. 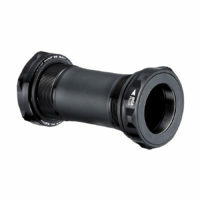 E*thirteen PF30 BBs are designed to handle even the rigors of downhill use with a solid connection via the threaded center tube to keep cups from walking, even under the hardest impacts. 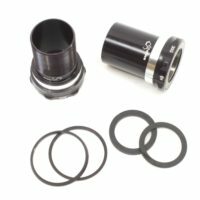 Custom seals, grease fill and angular contact bearings are designed from the ground up for top-notch durability and smooth spinning. Race Face new BB92 with Double Row External Seals, offering increased performance and reliability. Positions the bearings externally with exactly the same wide spacing as threaded external mountain BB’s. Precision CNC machined and anodized aluminum alloy cups: More accurate, durable and stable press-fit interfaces than the competitors’ molded plastic parts.